As the name suggests, WordPress slider plugins add a slideshow into a webpage, including home page, landing pages and almost any other page. 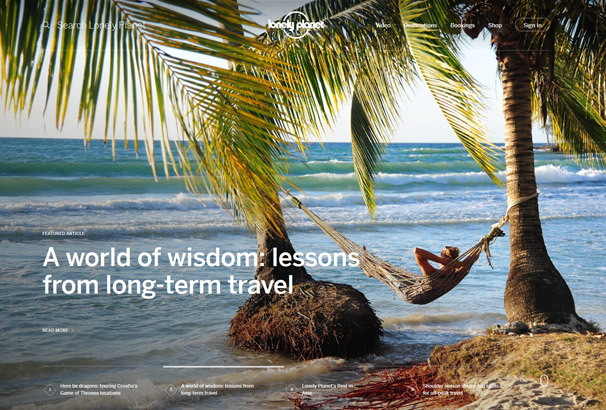 A sleek and well-executed slider can get things moving and makes a webpage more visually appealing. Sliders are usually used by business or professional portfolio sites to grab attention of random visitors. But WP slider plugins can be used with all types of sites to highlight important content in a more interactive and visually appealing way, allowing users to quickly see important information at a glance. Sliders automatically move slides without user intervention and can also be programmed to respond to user interaction. Thumbnails or buttons allow users to view slides within a slider or interact with the slider without leaving the webpage. Sliders are mostly configured to display one post at a time and automatically transition to the next, but they can also be configured to move on when a user clicks. 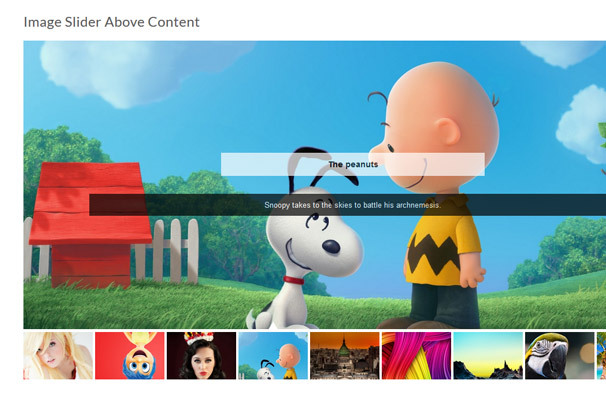 Sliders are more like an animated billboard and provide a more dynamic feel to the website. Its primary purpose is to grab attention of visitors, especially random visitors. However, if not used properly, sliders can become obtrusive and do more harm than good. Despite their benefits and functionality, there are a few things we need to consider before using one. Sliders load images and scripts (particularly jQuery) that can slow down page loading and might be an issue if you are hosting your website on a limited bandwidth plan. If you are using a responsive WP theme, non-responsive sliders can break the site layout on different mobile devices. Considering factors like slower page loading speeds and compatibility issues make the selection process easier. Most WordPress sliders try to deal with such issues and offer features that minimize the impact on performance, compatibility and bandwidth usage. With so many sliders to choose from (many of them are free), it often becomes difficult to choose the right one. You’ll see hundreds of sliders when you first search for them in the WordPress plugin directory, which confuses most users as each comes with its own pros and cons. It’s not possible for users to go through each slider to find the one that works best for them. 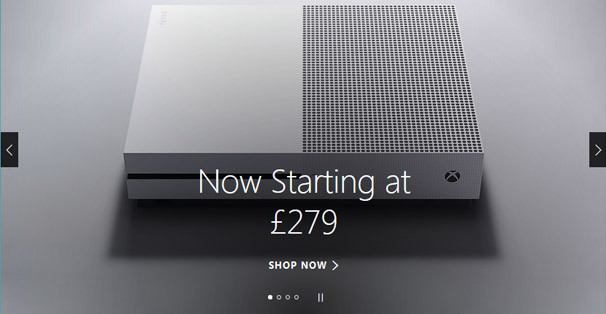 There also isn’t an all-in-one kind of slider available that works across the whole market. Picking the right WP slider depends on your own requirements such as site design, budget, ease of use and setup, mobile optimization and compatibility. Performance, ease of use and deployment remain the most important factors while choosing a WP slider plugin. A vast majority of people now use their smartphones to access the internet so mobile compatibility and friendliness is another important characteristic while selecting a slider plugin. To make the selection process easier, we have handpicked some of the most popular and feature-rich sliders that offer great functionality and value for the money. 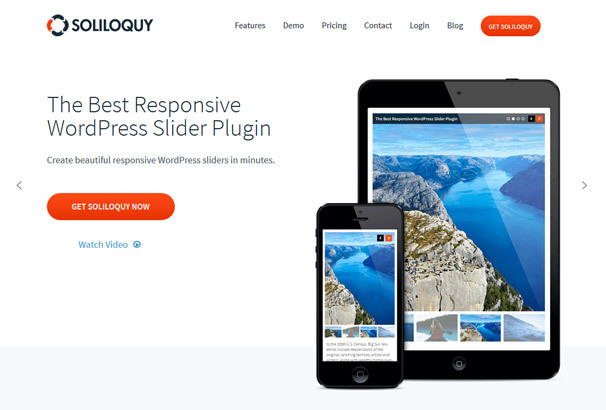 Soliloquy is one of the most popular and easy to use and deploy WP slider plugins and complies with WP coding guidelines. Even beginners should have no trouble in installing and configuring the plugin that blends nicely into WP’s native admin interface. The intuitive and simple interface allows creating slides using the default media uploader, while short codes, widget, button on the post editor and template tags make the whole process easier and hassle free. It’s also one of the best responsive plugins available and allows creating beautiful responsive sliders in no time. The plugin strikes the right balance between power and ease of use and also allows adding interactive product sliders in WooCommerce store. Soliloquy is great choice when it comes to performance and page load times and claims to be the fastest plugin. Pricing starts from $19 (entry-level tool) and goes all the way up to $249 (lifetime VIP plan for pros). Multi subscription for power users and developer subscription costs $49 and $99 respectively. Although not as easy to use as Soliloquy, Slider Revolution offers many customization options and a powerful visual editor. Support for social feed allows users to create auto-populated sliders that get their content from the social media feed. It’s also not as fast as Soliloquy and many users have reported performance issues and slow page loading. The free addons library extent functionality and allow users to make the most out of their investment. Slider Revolution is suitable for advanced users who already have a good understanding of how stuff works and want a comprehensive set of features. Pricing for the regular license starts from $25, while extend license price begins from $120. 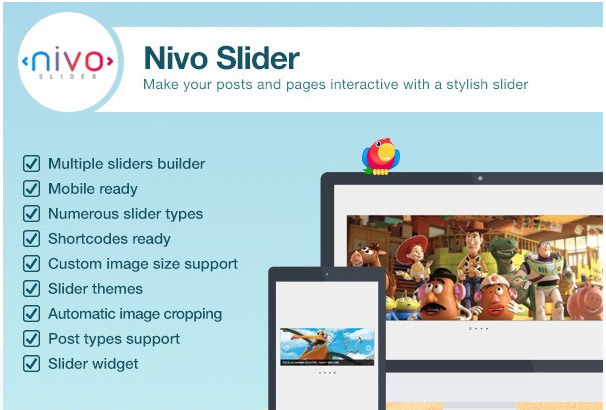 Nivo Slider is another easy-to-use WP slider plugin, created by ThemeIsle, with a drag-and-drop interface and offers built-in themes and transition effects. The mobile-ready responsive-slider does not require any coding skills and allows beginners to create beautiful sliders in no time. Automatic image cropping saves time and makes it easier to resizes image according to a specified size, which saves users from manually cropping images. Sliders are mobile responsive and look great on all devices and resolutions. Users can also build carousels from the admin dashboard and extend the functionality of an already powerful slider. Pricing starts from $89/year and small businesses and premium pack costs $149 and $249 respectively. 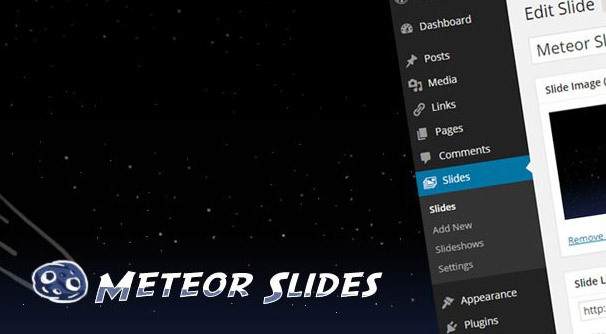 Meteor slides is a free WP plugin that makes it easier for users to create and publish basic slides using shortcode, template tag or widget. There are different transition styles to choose from and the mobile-friendly plugin works well with most devices and platforms, including touch-enabled tablets and smartphones. Meteor Slides is a great option for personal blogs and site owners who want to experiment with sliders before opting for a paid solution. However, ‘free’ does not mean that the slider does not offer anything as it comes with plenty of features that allow creating content-rich slides. LayerSlider is more like Revolution Slider that does not match WP’s interface and uses a custom interface. It provides users with a lot of customization options, which are good for advanced users but may confuse beginners. However, beginners can benefit from online documentation that provides detailed answers to common questions. The responsive slider plugin offers a host of features and allows creating a full-fledged website. More than 200 built-in animations and slide transitions, premium slider templates and dynamic content allow users to create attention-grabbing slides designed to drive clicks. The slides fit perfectly on all devices and are compatible with all popular browsers. Layerslider offers a simple and flat pricing plan i.e. $22 per regular license which includes six months of support. Extended support of up to 12 months costs extra $6.75. Users who want basic functionality at for free or an affordable price often find Huge-IT Slider a good option. It’s available for free, while personal multi-site and developer licenses cost $15, $30 and $60 respectively. The free version comes with limited functionality and is suitable if you want to create basic slides. It works well for users who just want to link pages, posts or external links with slider images without much hassle as the slider is actually quite easy to use. The built-in templates are good enough and work well for most personal blogs and micro sites. Surprisingly, the paid versions also offer limited functionality and the major difference between different versions is support for multiple websites and support period. Huge-IT Slider is a god option if you don’t intend to spend money on sliders yet. But users who want premium features and advanced functionality would probably find other sliders more interesting. The sliders are fully responsive and compatible with most devices and platforms. 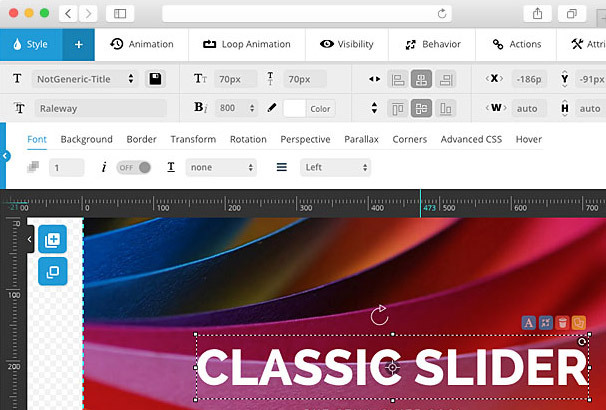 Meta Slider is probably one of the best free slider plugins available and makes it easier for beginners to create attention-grabbing slides. Adding slides, uploading images and configuring other options is easy even with the free version and if you want more advanced functionality and options, you can always opt for the paid versions. 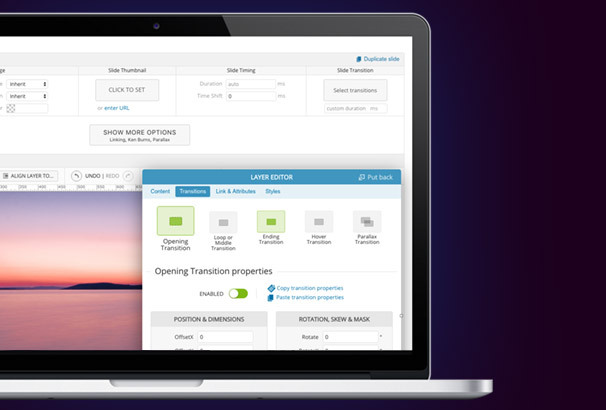 A 2-site license costs $39 and includes one year of automatic updates and premium support. Unlimited site license is priced at $289 and offers more advanced features such as YouTube and Vimeo videos, Theme and Thumbnail editor. 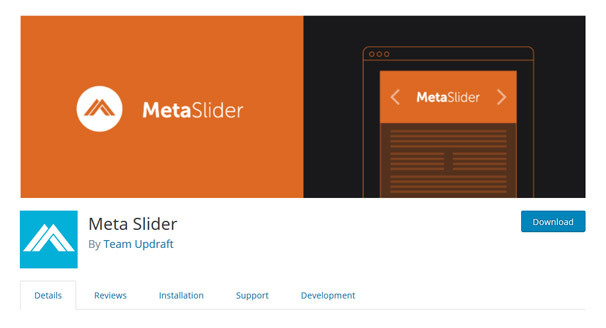 Ease of use and an intuitive interface make Meta Slider a great choice, especially for beginners who want to experiment with sliders before moving on to more advanced solutions (aka paid solutions). 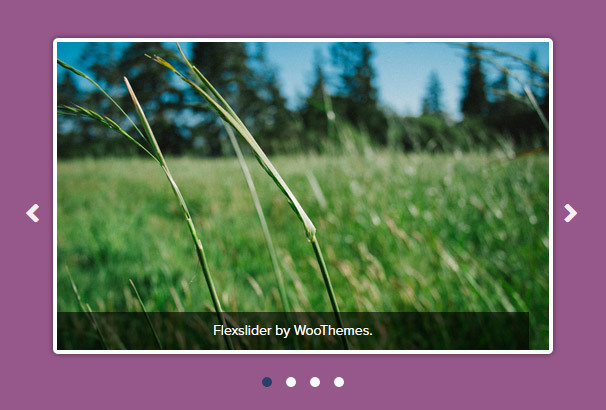 Offered by WooThemes, Flex Slider is rather difficult to setup, but once it’s all ready, it can be fun to use and offers a variety of minimalistic and beautiful sliders. This slider is available for free but there is a catch. You’ll lose it if you change your theme and users have to install it manually using the code. Users who do not want to fiddle with the code can purchase WooSlider for $39 that offers more functionality and a better user experience. Setting the plugin through code is not that difficult, but beginners may not feel right at home with that. 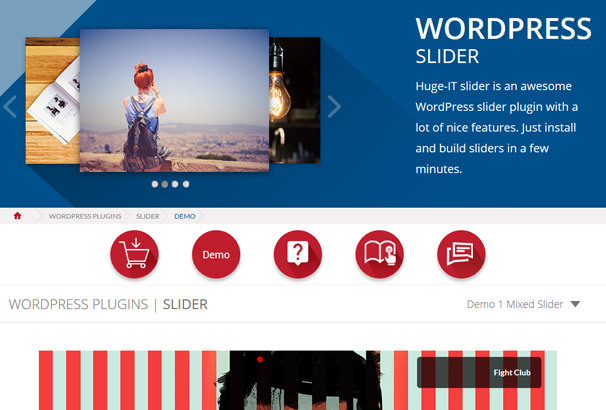 Ultimate Responsive Image Slider is one of the easiest WP slider plugins to setup and use. It does not offer as many features as other popular plugins do, but it makes up for it through its intuitive and easy to navigate interface, which is fairly basic and provides most of the options on a single page. The plugin is available for free (basic functionality), while pricing for the pro version starts from $21. 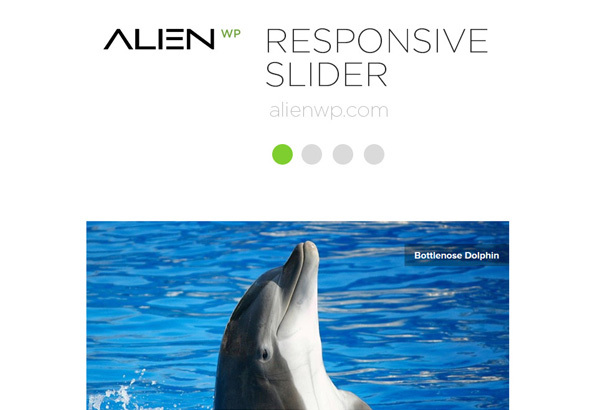 A plugin by AlienWP for creating slides and displaying them as a simple, stylish, and responsive slider on your site. One of the most popular free sliders on WordPress with over 20,000 active installations and over 150,000 downloads. This is a slider for someone who needs a simple, minimal and responsive slider which they can place with a short code – perfect for use on feature pages, blog posts and so on.